We consider probabilistic theories in which the most elementary system, a two-dimensional system, contains one bit of information. The bit is assumed to be contained in any complete set of mutually complementary measurements. The requirement of invariance of the information under a continuous change of the set of mutually complementary measurements uniquely singles out a measure of information, which is quadratic in probabilities. 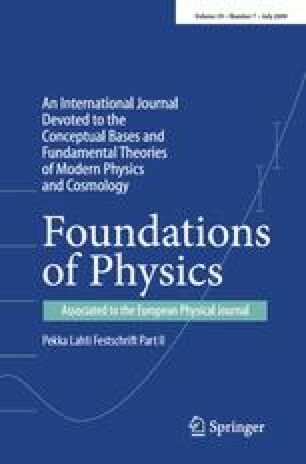 The assumption which gives the same scaling of the number of degrees of freedom with the dimension as in quantum theory follows essentially from the assumption that all physical states of a higher dimensional system are those and only those from which one can post-select physical states of two-dimensional systems. The requirement that no more than one bit of information (as quantified by the quadratic measure) is contained in all possible post-selected two-dimensional systems is equivalent to the positivity of density operator in quantum theory. This article is dedicated to Pekka Lahti on the occasion of his 60th birthday. Hardy, L.: Quantum theory from five reasonable axioms. arXiv.org/quant-ph/0101012.